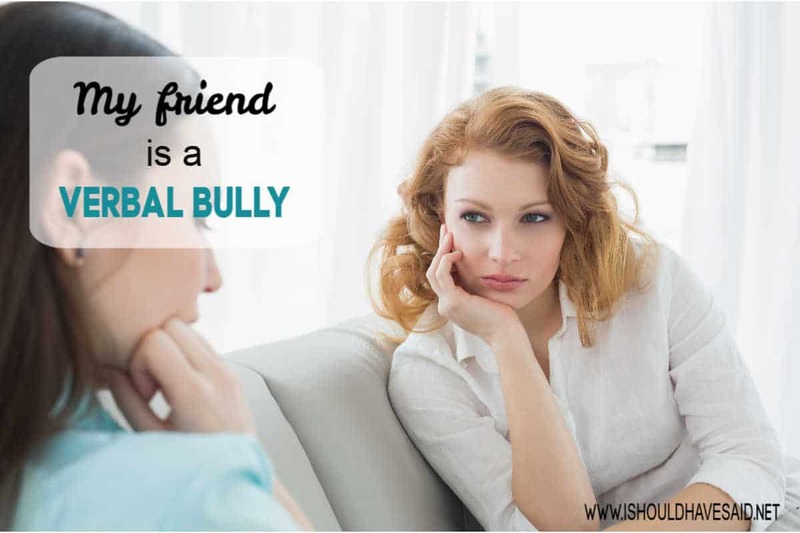 Have ever had a friend who is a clandestine bully who snipes at you and makes rude comments? You can only be left wondering if this person is really your friend at all. Today we are interviewing Cali, who dealt with a friend who kept insulting her. Cali’s roommate would make rude and snide comments towards her in public and when they were alone. 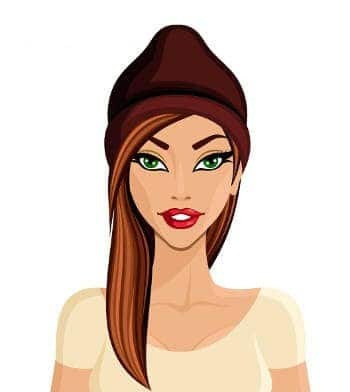 Her roommate, Lina, could actually be pretty nice, but she had this horrible side that would come out and say nasty things. So how did you meet your roommate? We actually worked at the same office, we were both going back to school and we decided that we should share an apartment for two years. At work, she seemed incredibly nice, kind and professional so it looked like we would be a good fit to live together. When did your roommate start making comments to you? Lina was fine for the first six months, then she would start to make snide little digs at me every now and again. How did you respond to her put downs and rude comments? When she first started making snide comments I was taken aback and a little astonished. I wasn’t quick enough on my feet to say something back to her. I don’t verbally attack people, it’s not who I am so I put up with it for the first little while, until she escalated her behaviour and started publicly embarrassing me. Can you share how she publicly embarrassed you? Well, it is embarrassing even to tell it here. I said to Lina one day that I wish my breasts were a little bit bigger. I wasn’t about to run out and get breast implants or anything like that, I was pretty happy with my body but a slightly larger chest would have been nice. Lina had a large chest but it wasn’t the kind that you wished you had. She was overweight and had saggy breasts. She was attractive enough, in a matronly kind of way. Lina started making weird comments to me about how her breasts were so big and mine were so small. It was a little strange. After a while, Lina started making rude comments to me publicly. We had eight friends over for a get-together, there were men and women there. During the evening when everyone was there, Lina mentioned how her breasts were so big and if she had to paint the room with her chest it would take her two minutes, but it would take me two weeks because my chest was so much smaller than hers. I could tell other people thought it was a little weird. I was horrified that she would stay such a thing. How did you respond when she publicly embarrassed you? Well, I just took it. I was so shocked that someone would say something like that to me publicly, especially in front of mixed company. I was dumbfounded, I couldn’t believe it. Did you just let it go, what happened? Well, a couple of weeks later, she said to me “Do my breasts look too big in this shirt?” I responded by saying, “Your chest would probably look a little less saggy in a different shirt. Lina never mentioned her large breasts to me again. Standing up to her verbally shut her up for good. Well, Lina had some nice traits, she was smart and funny but at the end of the day, she felt comfortable putting me down publicly and embarrassing me in front of others. That’s not exactly what I would describe as a friend. 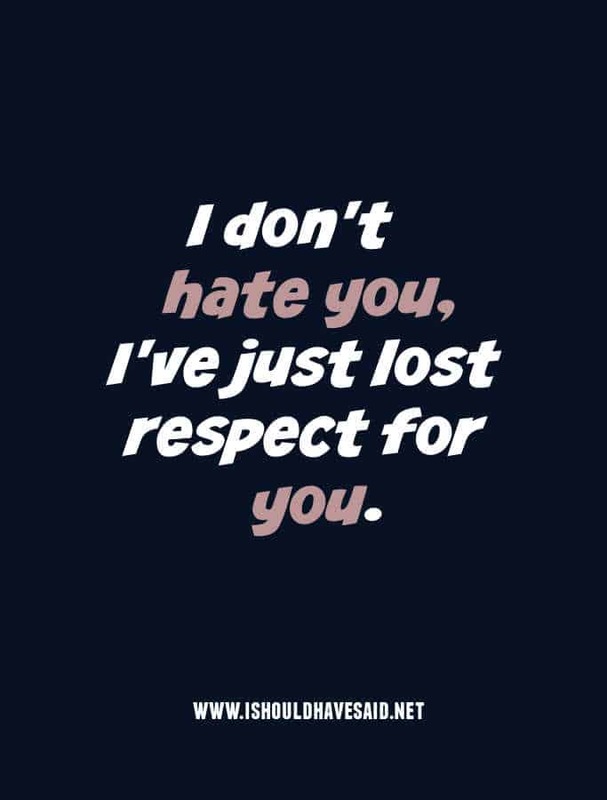 After all her insults, I decided that I just didn’t want to be around her anymore. In fact, I didn’t want to ever see her again. She had several people drop out of her life and never want to see her again, which is kind of telling. How did you end the relationship? I decided to move at a time that wasn’t convenient for her but I didn’t care. Lina was really pissed off about it, but the thing was I felt so uncomfortable around her after her rude behaviour, she really brought it all on herself. I haven’t seen her since I moved, although I read about her sometimes because she is very successful in her field and is sometimes in media articles. I am really glad about the decision to end the friendship and to have moved on. I just wish that your site had been available then, I would have come up with a much better comeback and shut her up earlier. Maybe things would have turned out differently. 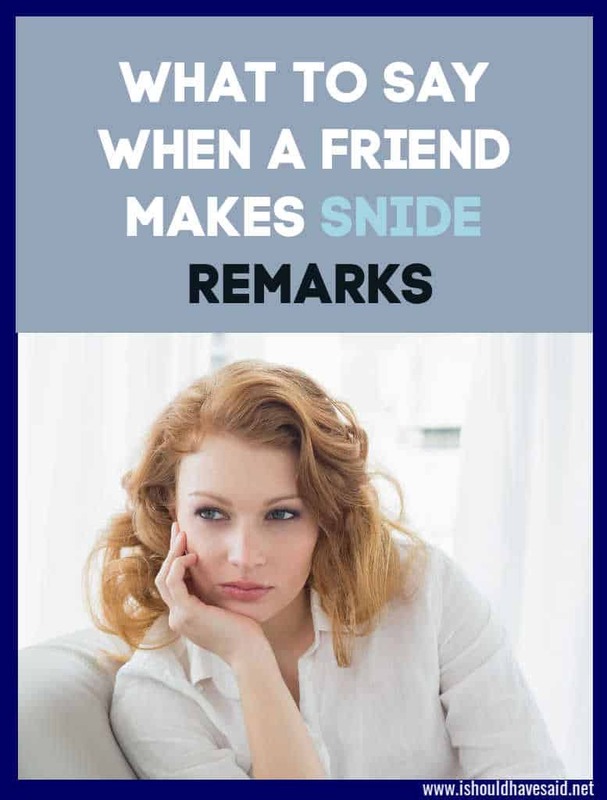 Got any comments, questions or tips for dealing with a friend who makes snide comments? Share them in the comments below.